First off, thank you for continuing to read this even though the title “‘Pretty Good’ Pumpkin Chili” doesn’t exactly draw you in. And to be honest with you, they say this whether they actually believe it or not. But here the Bluebird + Blackberries ladies are committed to keeping it real. And so I will say that this recipe is, well…pretty good. I took a basic chili recipe, added pumpkin, cinnamon, and beer and found myself maxed out at ten ingredients. So I finished the rest of the beer, let my creation simmer, and in the end it was good. It tastes like your classic chili wearing a fall sweater. And although it is good, it’s not the best thing I’ve ever made. With a couple of more ingredients I think the flavor could be a little richer, but in the end maybe I just prefer the OG chili. So in conclusion, if you’re looking for an easy and fast chili recipe with a fall spin, then I think you should give this a try. Who knows, maybe you will think this is the best chili ever, and if you do, you know I want to hear about it! So comment below or give us a shout out on Instagram! And let’s always promise to keep it real. There is enough fluff on the Internet and in this community, and these ladies will never BS you. 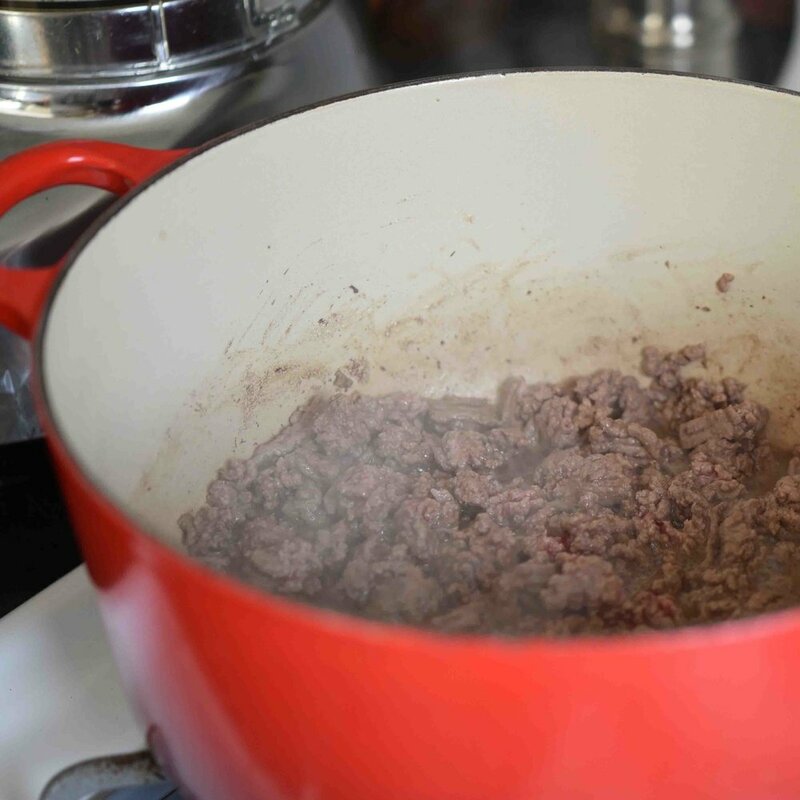 In a large stockpot over medium-high heat, cook the ground beef until it is just brown—8 to 10 minutes. Add the onion, garlic, and ½ teaspoon of the salt, cooking until the veggies are mostly softened—3 to 5 minutes. Add the pumpkin, beans, chiles, chili powder, remaining 1 teaspoon of salt, pepper, and cinnamon, stirring to combine; cook for 3 minutes. Add the tomatoes and beer, again stirring to combine. Bring the chili to a low boil, then turn the heat to medium-low and simmer, covered, until it is slightly thickened and the flavors have come together, stirring occasionally—30 to 40 minutes. Serve piping hot garnished with your favorite toppings, such as pickled jalapenos or sour cream.